Putting in the extra effort when your child is young to make sure they understand why dental care is so important is one of the best ways of securing a healthy future for them. Not only is good dental health important for its own sake, but for the sake of good overall health as well. Dr. Lon Riemer, a general and kid’s dentist in St. Albert, is always happy to provide parents with simple tips that can help them instill effective oral health habits in their child. One of the easiest and most effective steps you can take towards teaching your child about proper dental care is setting a good example for them to follow. If you consistently take good care of your own teeth, your child will learn that dental health is valuable and that oral hygiene is an important part of everyday life. 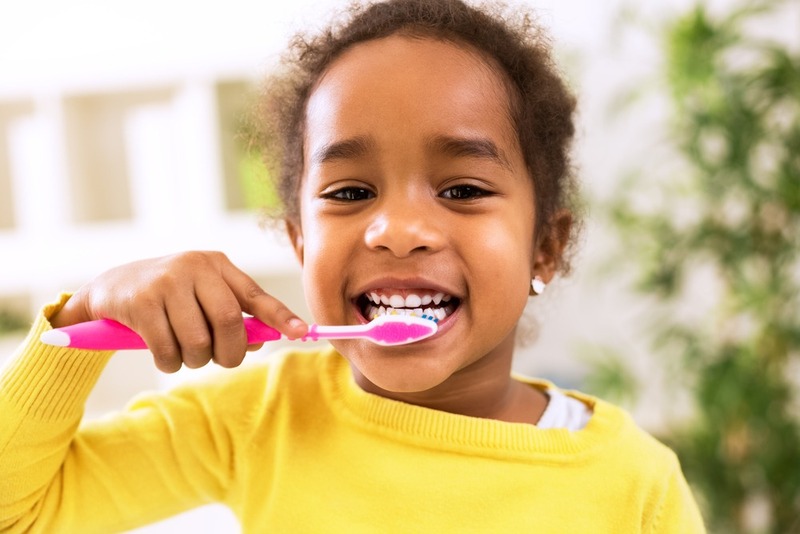 As your child grows older and begins taking on more oral health responsibilities, make sure that they are brushing at least twice a day with a fluoride-containing toothpaste. Encourage them to brush for at least two minutes, and floss their teeth for them until they are ready to floss on their own. Consider making the experience more fun by brushing and flossing your teeth at the same time. Some other ways to making brushing time more fun is to let your child pick out their own toothbrush and to read children’s books about oral hygiene together. You can even download educational apps that use games and cartoon characters to teach your children about teeth and oral health. Fostering proper dental care also means teaching your child about the different foods that can help and harm their teeth. You don’t need to ban starchy and sugary foods completely, but you should explain why overindulging in foods such as candy and chips can be harmful for their teeth. Make sure that the whole family is eating healthy, well-balanced meals, and talk to your child about why nutrition is important for healthy teeth and a healthy body. You also want to start your child’s visits to a St. Albert dentist around the time of their first birthday. Taking your child for regular dental visits from such a young age will normalize dental checkups and will help keep them from developing dental anxiety in the future. It will also ensure that any potential dental problems are caught early. The entire staff at Dr. Riemer’s dental clinic is committed to making sure that your child grows up with a healthy and happy smile. As a St. Albert kid’s dentist, Dr. Lon Riemer provides comprehensive dental services for developing teeth and gums for children, as well as general dentistry services for the entire family. Our welcoming and comfortable office will get your child started on a lifetime of regular dental visits, and we’ll answer any questions you might have about helping your child maintain their dental health. If you’re looking for a St. Albert dentist that can take care of your entire family’s dental needs, then don’t wait to contact Dr. Riemer’s dental clinic and set up your first appointment today.